If you’ve been skeptical to try an olive oil cake, I totally understand. When I first started seeing these trendy recipes for cakes and quick-breads calling for extra virgin olive oil (instead of butter or a neutral flavored vegetable oil), I was skeptical. Olive oil has a rich, savory, and slightly peppery flavor in my opinion—and I was unsure how that would pair with sweet notes that lend themselves to traditional cakes and quickbreads. But, then one day (yesterday!) I was home recovering from surgery and craving lemon. 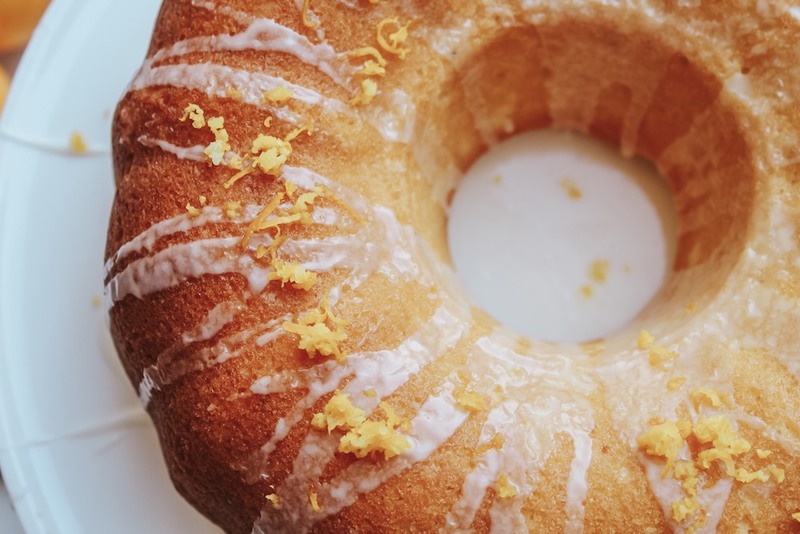 We happened to have a bunch of Meyer lemons on hand (they’re sweeter and tastier than traditional lemons in my *humble* opinion) and I decided that I needed a Lemon Bundt Cake. 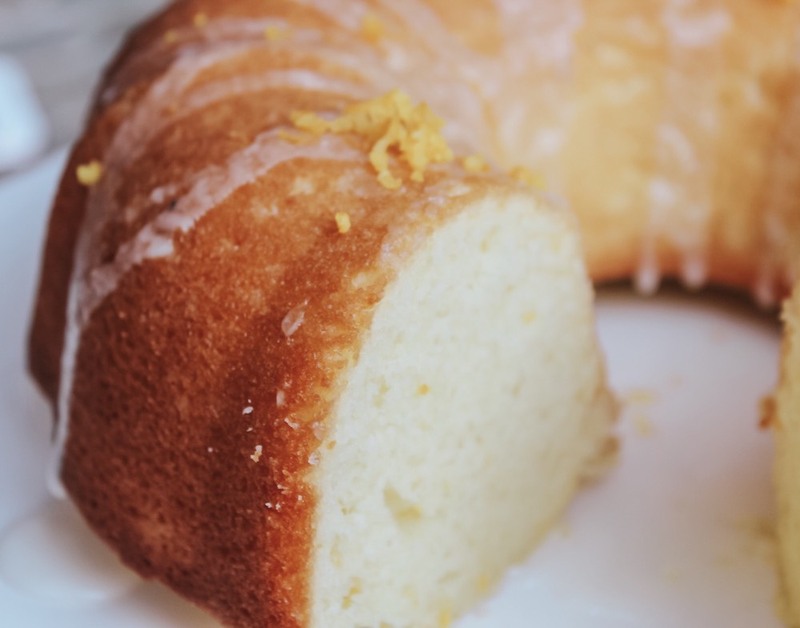 Bundt cakes have a simple base recipe: you need a fat for moisture (traditionally butter or oil), a leavening agent (baking soda or powder), a binder (eggs), and of course—flavor (lemons!). I decided to incorporate olive oil instead of vegetable oil into the recipe because I like livin’ on the edge - and what I got was pretty much magic: the citrus and olive oil complement each other perfectly. The consistency of the oil makes this cake light and fluffy, but not airy. (I do not prefer airy cakes). I’m actually in LOVE with this recipe, and can’t really believe it worked so well on my first try. (Usually, recipe testing takes three or six or twelve tries!) My husband and head recipe tester is absolutely smitten as well. If you’re looking for the PERFECT way to brighten up your spring dessert table—you’ve come to the right place. 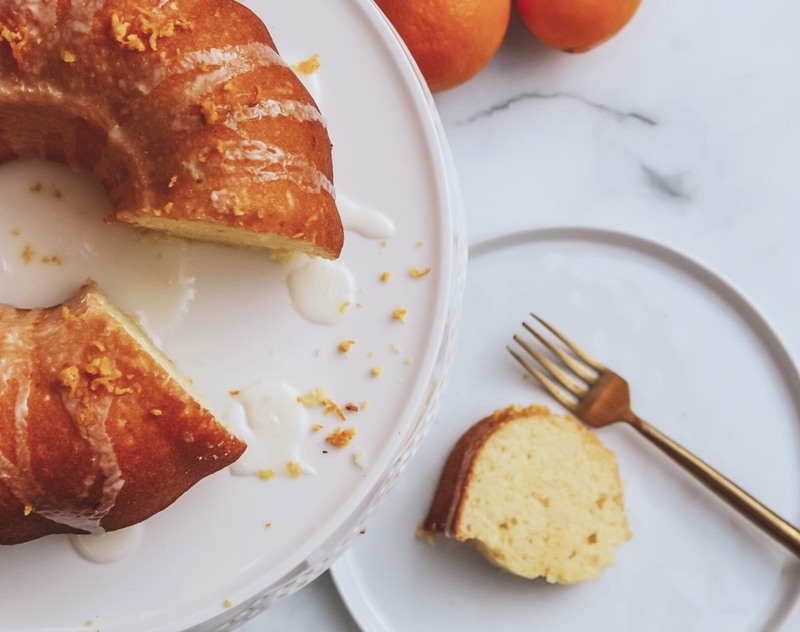 Grease a Bundt pan—be generous so your cake doesn’t stick to the edges. Combine the dry ingredients in a medium bowl—whisking together flour, baking powder, sugar, and salt. Combine the wet ingredients in a separate bowl—whisk in each of the five eggs, add vanilla extract, pour in the oil, lemon juice, and lemon zest. In a large bowl, sift the dry ingredients into the wet until batter forms. Pour the batter into the prepared pan. Bake for 35-40 minutes, until a knife or toothpick inserted comes out clean. Place on a cooling rack for 10 minutes to cool completely. Whisk together powdered sugar and lemon juice for the glaze. Take Bundt cake out of the pan and drizzle glaze over. Top with zested Meyer lemon. Share with your family or friends or neighbors with fresh vanilla ice cream!